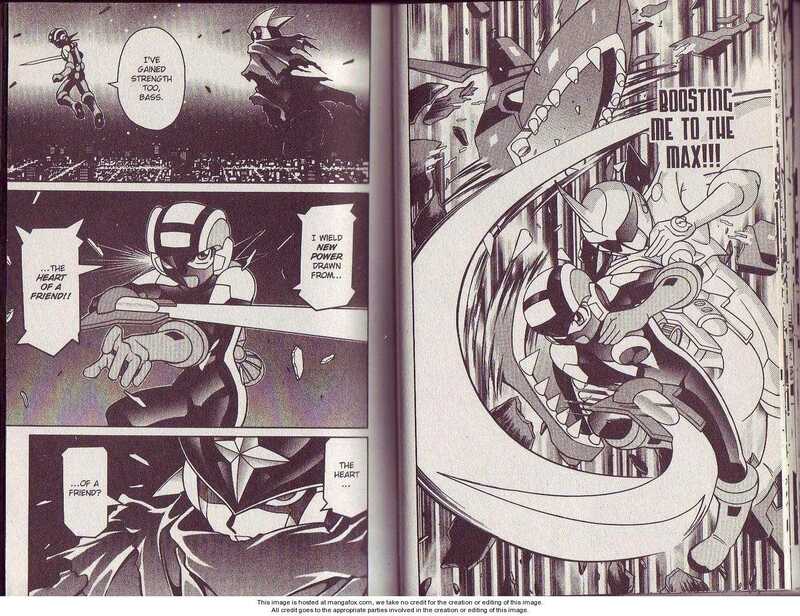 Megaman vs Bass……quite possibly the greatest rivalry in all of media! Bass is the King of the High Aboves and has defeated many, many, many opponents all ready. With his Earthbreakers, Super Speed, Super Strength, and complete and utter mastery of hand to hand combat Bass has yet to be defeated! There is just no being who could take him down, but Megaman has provided a challenge in the past. Megaman is an extremely powerful being, but after seeing him beat Goku in a previous fight you probably guessed that! These two have fought in Games, Anime, and Manga and their rivalry will never end! Whenever Megaman gets a power up you can expect Bass to have one that’s stronger! 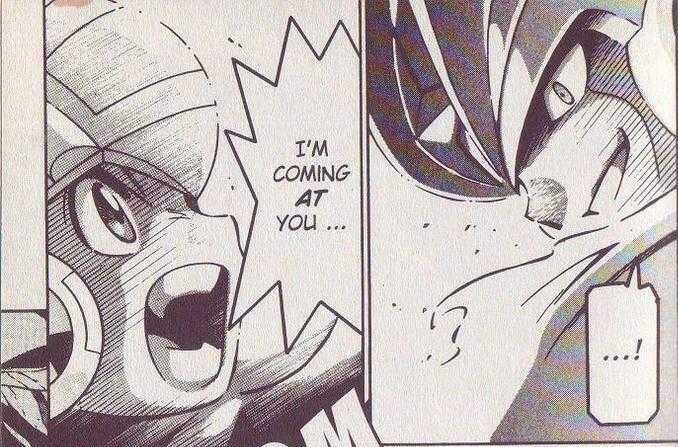 There’s no letting up in these battles and they had 2 fights that lasted for pretty much a whole volume each! Let’s get started on their abilities. Megaman and Bass both have Super Speed to the highest degree. Their speed is far too great too be measured and will only continue to increase! Speedwise Bass is still above Megaman of course, but at least Megaman’s speed will allow him to fight back! Strength wise they are both casual planet busters. 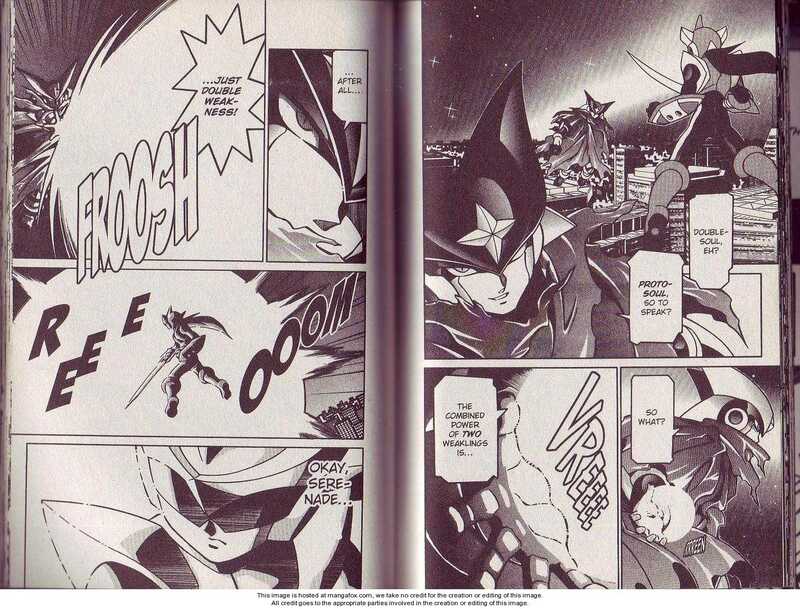 Megaman’s giant blast in Hubstyle gave us a glimpse of his true power, but in the end Bass’s attacks tend to have more of a punch. For healing purposes Megaman has battlechips that let him recover, of course Bass one ups him yet again. Bass has the Get Ability program which allows him to recover from ANY injury. No matter how lethal! He also comes back with his opponent’s power added to his own! Even without the Get Ability program Bass has instant regeneration so just hurting him could be an issue. 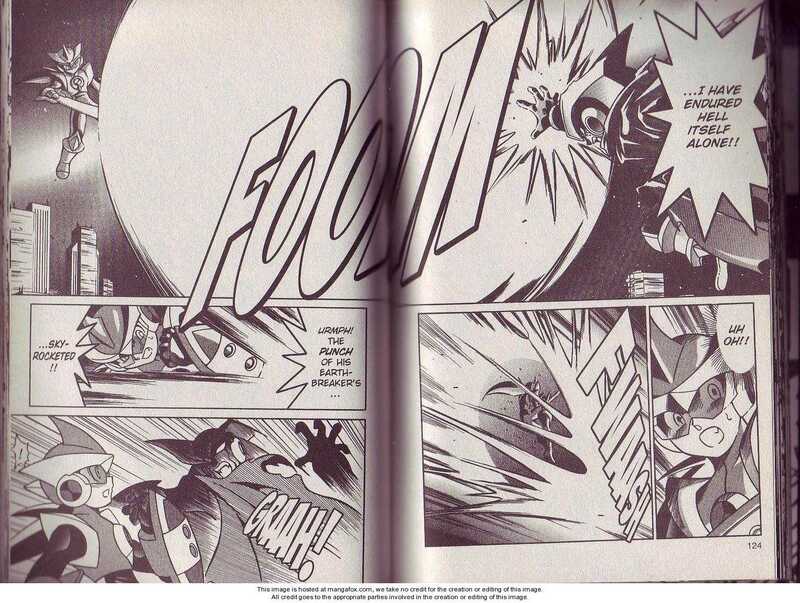 Another useful ability Bass has is the Reflection Lance which allows him to reflect any beam hurled his way. Reflecting all beams is no small feat! Thanks to this many fighters have now way of hurting Bass. Beams are a must for some fighters and now they can’t use them. Making projectiles even more useless is his barrier which blocks ALL beams. Nothing will be getting past that! Of course Megaman has some abilities of his own! Thanks to his array of battlechips he has nearly any power you can think of! Indestructible, Invisibility, Intangibility, Cannons, Flight, pretty much anything, if it’s around he’s got it! Megaman’s most powerful non fusion form is easily Hubstyle! 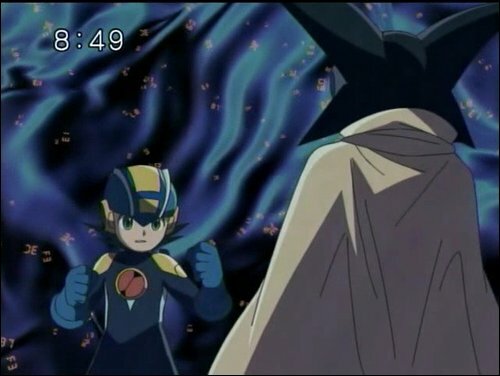 When Megaman got it, it was the first time he became ultimately powerful! Of course Bass got it soon after, but for a while it was Megaman’s and Megaman’s alone. Megaman put up a brave fight, but in the end he couldn’t win. Bass wins. This entry was posted in Bass Battles, Battles, Megaman Battles and tagged Bass, Megaman by dreager1. Bookmark the permalink. Definitely, glad you liked it! 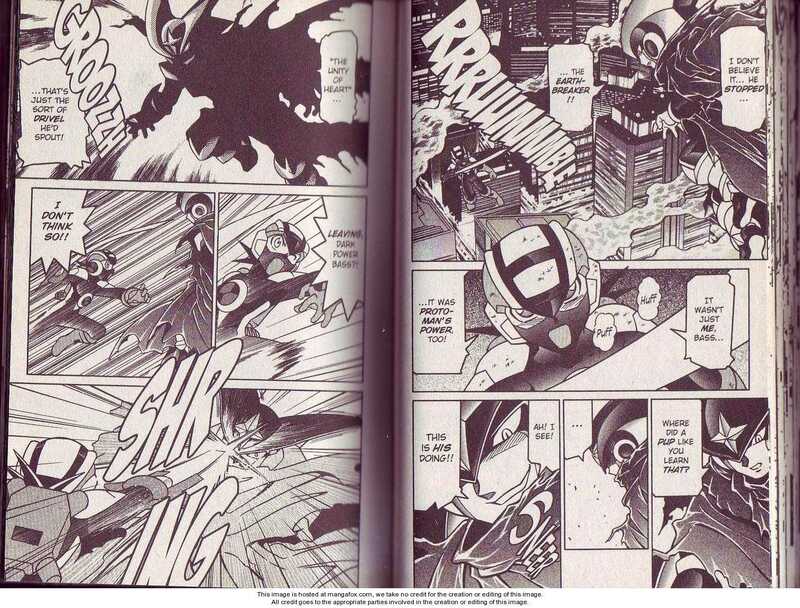 i think megaman NT warrior is the best manga ever made. i have read it like, a million times. i would love to read another manga like it. Agreed, there is no title that even comes close to it to be honest. A pretty intense fight eh? No, I’m referring to the joke. Plus, Bass has been beaten before. You do realize Capcom disagrees with this assessment? Yes, but Capcom also decided not to add the classic Mega Man to Marvel vs Capcom 3 so I don’t always trust their judgment. 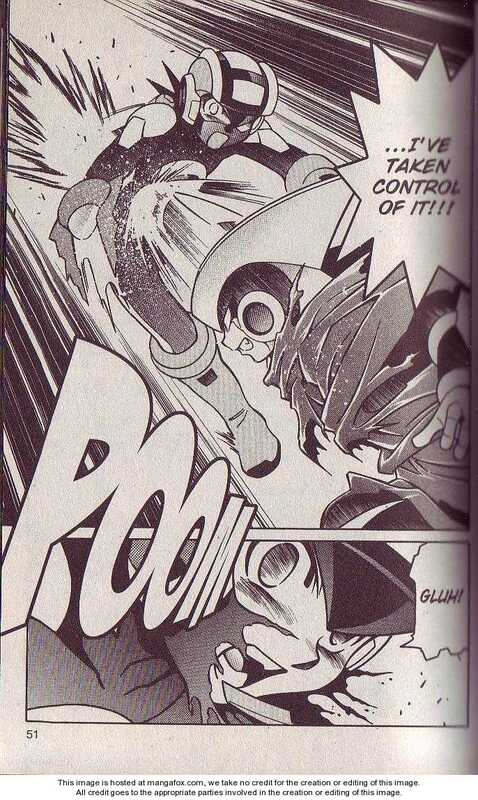 You forgot to include the scan where Megaman beats Bass. 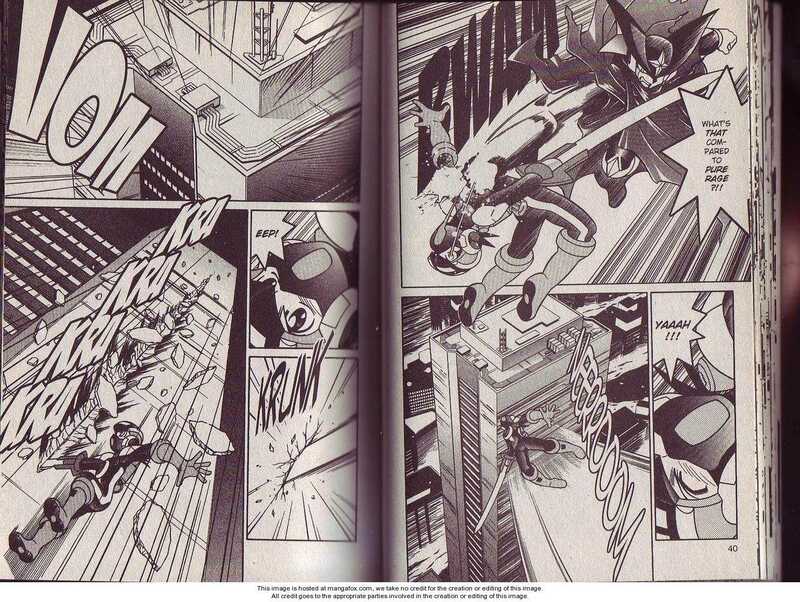 Also, after destroying AND restoring the Cyber World, Megaman can be classified as a universe buster. He’s also much faster than Bass as he was capable of searching through ALL of Cyber World in a short span of time. Though I prefer instant teleportation, it was still impressive. That coupled with his Full Power Hub form makes for an ultimate victory for Megaman.EXE. Well, the hero does have to win in the end. The story demands it, but Bass had the upper hand otherwise. I also wouldn’t say that he’s faster than Bass. Bass could have easily done the same thing. 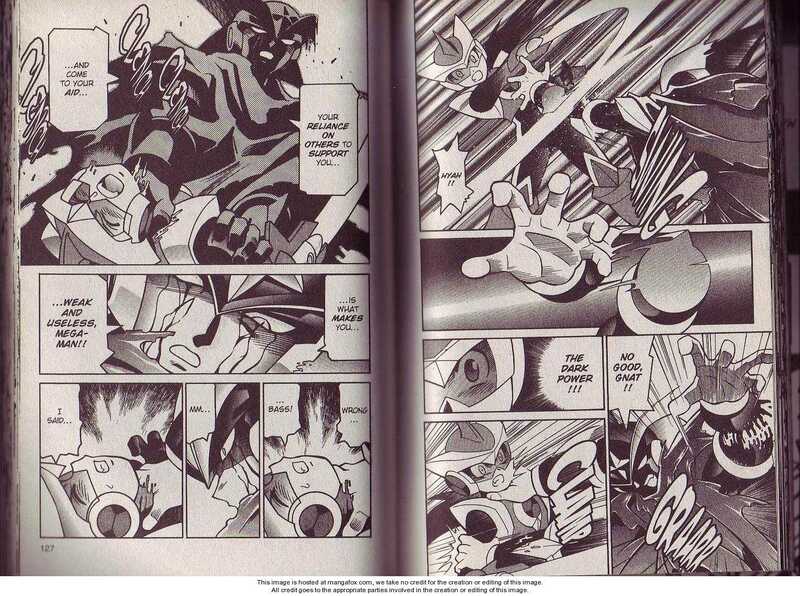 Lets not forget that in the aftermath story which takes place decades after the rest of the series, Bass had to save Megaman once again. I think we know who has control in this rivalry…and it isn’t Megaman!